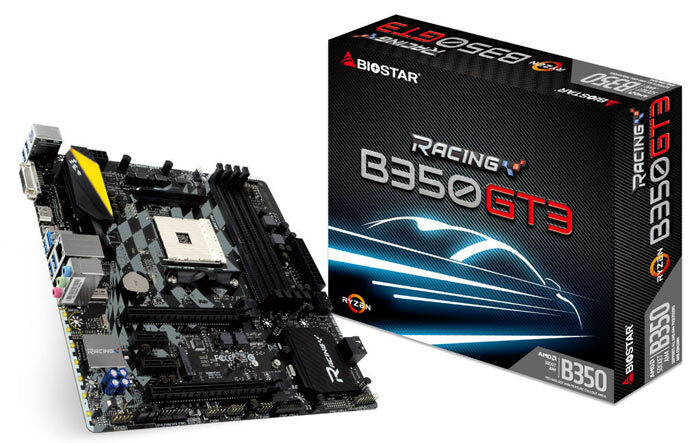 Just ahead of the weekend Biostar published product pages, including images, overviews, and full specifications, for five Racing Series AM4 motherboards. 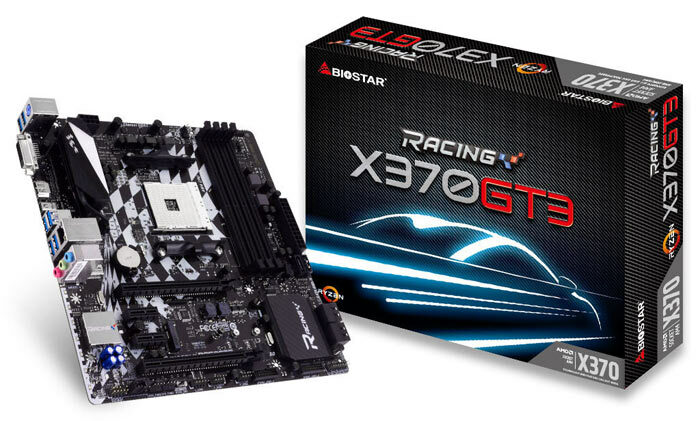 The series ranges from the flagship ATX Racing X370GT7 AM4 board and two others which use the AMD X370 chipset, to the Micro-ATX Racing B350GT3, one of two B350 chipset motherboards. 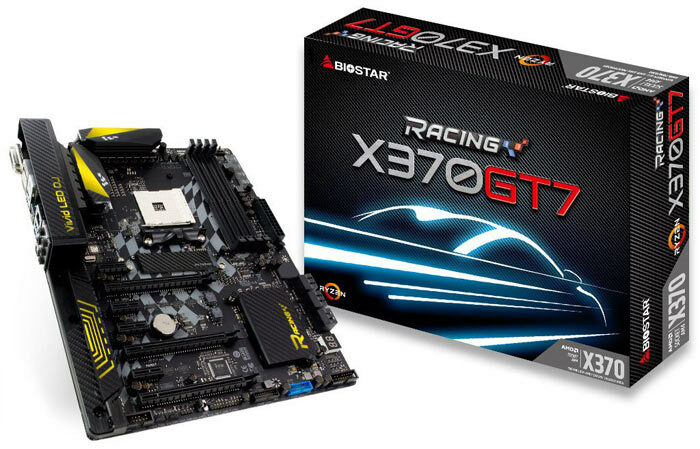 An obvious highlight of the range is the Racing X370GT7 which boasts; twin BIOSes for overclocking, dual heatsinks over board components connected by a heatpipe, and superior 'Double Hi-Fi' audio powered by the Realtek ALC1220 audio codec. Across the range Biostar has implemented USB 3.1 Gen 2 ports, fast charging of smart devices, M.2 Key M slots with heatsinks, Digital Power+ for overclocking, and Realtek RTL8118AS networking with DragonLAN/FLY.NET software. For clean and clear audio all the boards feature EMI shielding and use quality audio capacitors. RGB LED lighting isn't forgotten either with two 5050 LED headers on each Racing motherboard - compatible with Biostar Vivid LED DJ technology for customisation and synchronisation. Pricing and availability are yet to be divulged but HEXUS usually gets timely press releases from Biostar concerning its new products, so it looks like the linked product pages are a little premature. Woah woah woah woah woah. That X370GT3 - that's an mATX board using the top end chipset, right? 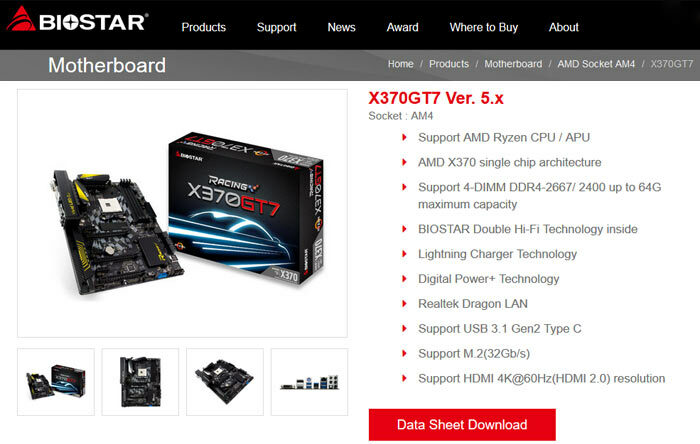 If the Asrock Taichi and MSI Carbon series live up to spec expectations and reliability / build quality, and everyone who “just wants a board” pick Asus/ Gigabyte boards without looking, then this theme doesn't fill me with hope for Biostar. If they are the only ones (unlikely?) with mATX X370 that will help, though. down to price really looking at the asus crosshair vi and that asrock taichi nice white little number ..